Mike “The Situation” Sorrentino has started his life behind bars. Rapper Meek Mill, who had widespread support from the sports world, is getting out of prison. Michael Imperioli, a New York native famous for his role as Christopher Moltisanti in the HBO series “The Sopranos,” will play New York Gov. Andrew Cuomo in a limited Showtime series focused on a 2015 upstate prison break. Titus Young, who had a tumultuous NFL career, will serve four years after pleading no contest to a 2016 assault charge. A little Vitamin D never hurt anybody! No one has to “talk sports” to like sports. Uli Hoeness is back in charge of Bayern Munich 270 days after his early release from a 42-month prison term for tax evasion. Some 7,152 Club members voted overwhelmingly for the 64-year-old Hoeness, who was the only candidate, to become president again on Friday. ”To be standing here today, I thank my two families, mine and that of Bayern,” said Hoeness, who was applauded into the club’s AGM. A report from the Annie E. Casey Foundation describes the many ways parental incarceration affects families and communities, and recommends that courts and policymakers consider the needs of children. Writing on the Wall is a selection of more than 100 previously unpublished essays that deliver Mumia Abu-Jamal&apos;&apos;s essential perspectives on community, politics, power, and the possibilities of social change in the United States. From Rosa Parks to Edward Snowden, from the Trail of Tears to Ferguson, Missouri, Abu-Jamal addresses a sweeping range of contemporary and historical issues. Written mostly during his years of solitary confinement on Death Row, these essays are a testament to Abu-Jamal&apos;&apos;s often prescientinsight, and his revolutionary perspective brims with hope, encouragement and profound faith in the possibility of redemption. Johanna Fernandez is a Fulbright Scholar and Professor of History at Baruch College in New York City. Cornel West is a scholar, philosopher, activist and author of over a dozen books including his bestseller, Race Matters. He appears frequently in the media, and has appeared on Real Time with Bill Maher, The Colbert Report, CNN and C-Span as well as Tavis Smiley. The above is a work-in-progress for a documentary film about rehabilitative theater with incarcerated young men of color called The Odyssey Project. Iraq, the BP oil spill, the rights of union workers, food insecurity, and the juvenile incarceration system aren’t necessarily the first things that come to mind when one thinks of a summer afternoon in Santa Barbara. However, they’re what documentary filmmaker and longtime Santa Barbara resident Mark Manning concerns himself with. I walk down a red brick path through a verdant garden to arrive at Manning’s office at Conception Media, which is in the back cottage of a nice town house. Inside, a husky sleeps on the floor, a few screen-savers swirl on several monitors in the background, and Manning goes about brewing herbal tea after kissing his beautiful wife goodbye for the afternoon. He probably went surfing this morning, but he spent all last summer filming incarcerated youth. 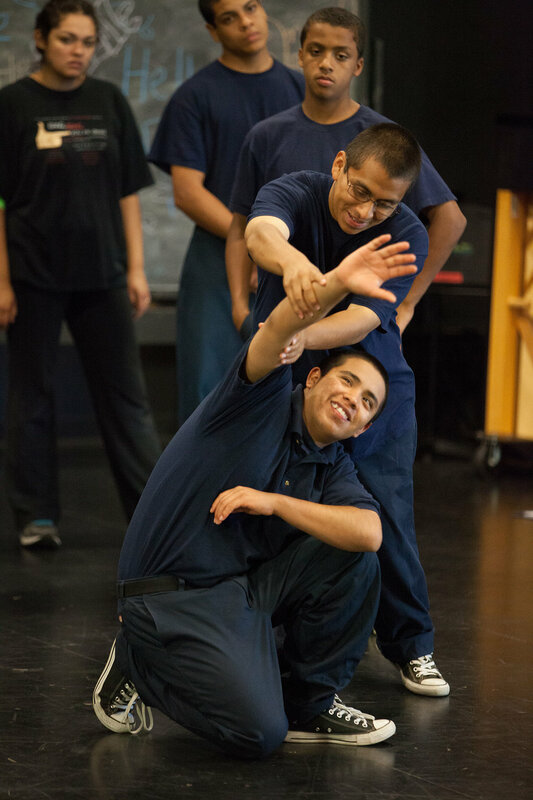 After journeys across the country and world for his documentaries, what about the Odyssey Project — a partnership between UCSB and the juvenile justice system that brings incarcerated young men into a theater workshop — caught Manning’s eye? Why this, for his newest film? “I always look for a way to tell a real important social issue through characters. To humanize the issue,” Manning says, leaning back in his chair. 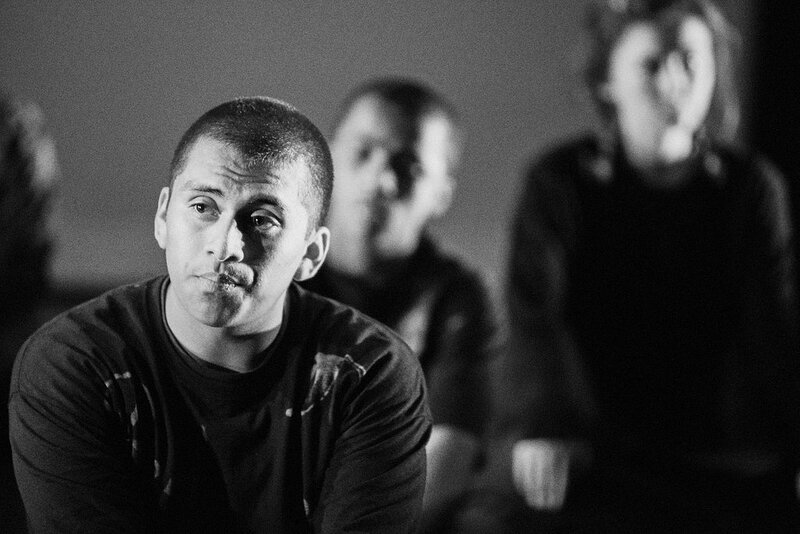 So, last summer, Manning and his crew followed the “personal odysseys” of the incarcerated young men participating in UCSB professor Michael Morgan’s Odyssey Project theater class. 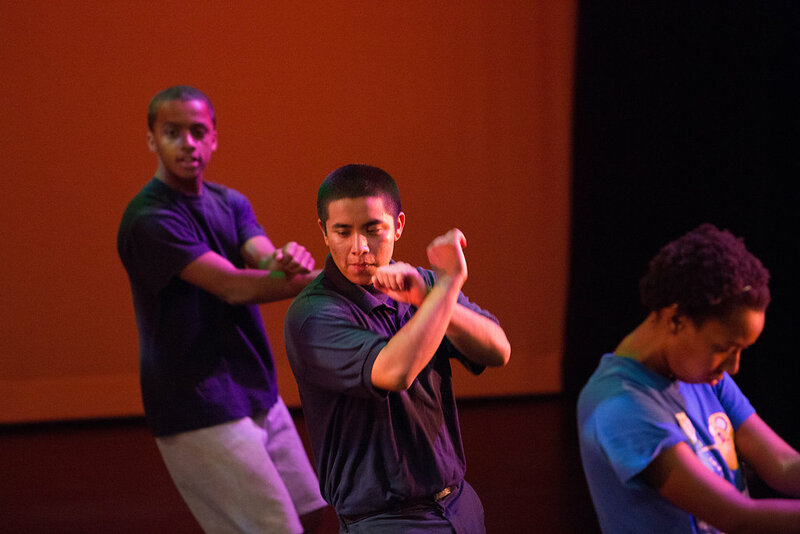 Those young men created pieces of personal creative writing and art, performed their own spoken word raps, and acted and danced alongside UCSB undergraduates in a public performance retelling The Odyssey as an epic tale of contemporary homecoming. The Odyssey Project film, if it gets produced, has the potential to change the way juvenile incarceration works in America by demonstrating how successful the arts can be as a tool for rehabilitation and reducing the recidivism rates of jailed youth. 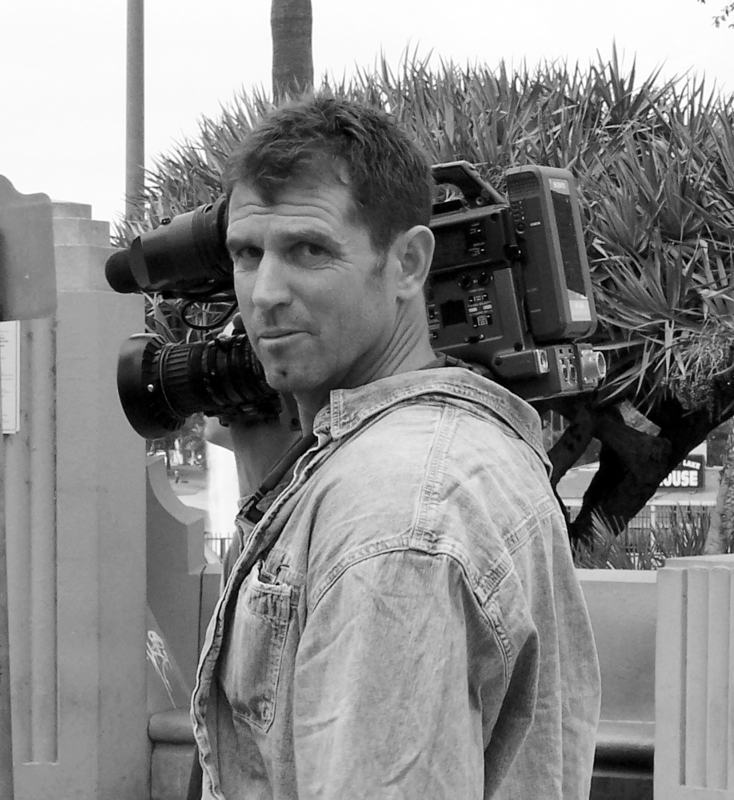 Manning’s company, Conception Media, collected the footage without certain knowledge of where funding would come from to finish the film. By chance, Manning heard a program on the radio about a documentary about Palestinian children. He quit his oil job, took that filmmaking class, and started making nonprofit PSAs in Santa Barbara. It was 2001, and he couldn’t believe 70% of Americans supported the war in Iraq. “Go up and down State Street and ask people why,” someone suggested. While making Journey to Peace with Nadia, Manning befriended an Iraqi woman name Rana, who regularly stopped US Marines from dropping bombs by telling them where she was running to among their targets and emerging with women and children. When Manning went into Iraq in 2004 and 2005 and lived in the city of Fallujah, he did so alongside Rana as one of the only outsiders to live un-embedded in Iraq. Rather, he lived simply as another human in the holy city, which had been the site of the Iraq War’s bloodiest battle in 2004 after four American contractors were killed there. Manning made it a point to tell the story of Fallujah from the perspective of the Iraqi people, and when the resultant film, Road To Fallujah, was released in 2009, it hit the festival circuit with a life of its own, garnering a few awards to boot. Is Teresa Giudice Getting Out of Prison Early? Gerard Way doesn’t feel the need to be as “aggressive” as My Chemical Romance were. The release of Alex Gibney’s new documentary on the late Nigerian pop star Fela Kuti spurred me to sift through my own personal journalistic archives to find an audiotaped interview I conducted with Fela in 1986. And here it is, a transcript and audio clip of my mostly unpublished interview with Fela, perhaps the first one-on-one he granted after being released from prison in ’86. On June 17, 1986, seven weeks after his release from Nigeria’s toughest prison, Fela spoke exclusively with me. And, bravely, he remained defiant against the military regime in Nigeria that had imprisoned him. As is the case with many interviews that I conducted as a writer for music trade weekly Cash Box, the Q&A remained unpublished (except for a few lines published in the June 21, 1986, issue of that magazine). Kuti is probably best-known today as the inventor of Afropop, a massively influential musical form that mixed jazz, rock, funk and revolutionary politics. Fela was also famous for having fought against oppression in Nigeria. In the early ’80s he was imprisoned by his country’s autocratic regime for three years on what appear to have been politically motivated charges. After he was released from prison in April 1986, he visited New York City, appearing at a Manhattan press conference on June 13, 1986 (my interview was not a part of that conference) before performing for Amnesty International at Giants Stadium in New Jersey on June 15. Paul Iorio: It must be a big change for you to be out of prison now. Fela Kuti: Yeah, it’s a big change for me. It’s a good change. Iorio: Did you write a lot of songs in prison? Fela: No. I just kept my brain blank. I left my mind blank in prison. Iorio: You were transferred to Kirikiri. Was that, as they say, Nigeria’s toughest prison? And was it tough on you? Fela: [Kirikiri] is one of the toughest prisons, but it was not tough on me. I lived through it. It was tough on the body. I lived through it…. Iorio: Do you think your spirit is stronger because of this experience? Iorio:There was a period when you were in the hospital and they transferred you over to Maiduguri prison. At that point nobody heard anything from you for about six weeks. What happened to you? Fela: They just took me to the prison … and it was very, very uncomfortable, very far away from everybody. And visitors weren’t allowed for me for about five months. Iorio: Were you afraid for your life? Fela: No, no, no, I was never afraid for my life…. We just try to face the government…. Iorio: Are you still going to speak out against the Nigerian government? … You’re not going to back down? Fela: No, I’m not going to back down. I still intend to [protest the government]. I’m not backing down…. Iorio: Would you ever consider getting involved in Nigerian politics … ? Iorio: You mentioned that some of the military people have your records and like your music. Fela: Oh, yes. Everybody in Nigeria likes my records. Iorio: Do you think Amnesty International had a lot to do with getting you out of prison? Fela: Not much. They tried to make people aware of it. But there’s not much they could do…. Iorio: While you were in prison, what was the worst thing that happened to you? Fela: The worst thing that happened to me [while I was in prison] was that my record was produced by somebody else, Bill Laswell. And that really fucked me up in prison. Iorio: That was “Live in Amsterdam”? Fela: No, no, “Army Arrangement” … destroyed me completely, fucked my mind up…. When you’re in prison, you can’t do anything about what’s happening outside. Iorio: But at the same time, people were being carted out dead every day; there were beatings. Iorio: But it never happened to you? Iorio: Was that because everybody knew who you were? Fela: Yes, Bill Laswell’s production. I had a production [before I went] to prison. So they abandoned my production and put in a new one…. They knew that [I’d given] instructions that it not be produced by anyone. They knew how I felt about it. Iorio: How about “Live in Amsterdam”? Do you harbor any bad feeling that EMI released that instead of releasing “Perambulator”? Fela: EMI did so many bad things. They didn’t look out for my interest at all…. They just wanted to rush something out…. “Live in Amsterdam” wasn’t a good recording. I only [made] it happen because the system wanted it, because the company complained … and demanded a live album. Iorio: Is there a Fela record that you consider is your best? Iorio: Do you think that you could live a better life as a musician if you were to leave Nigeria? Fela: I could never leave my home…. It inspires me a lot.